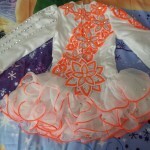 Stunning Gavin Doherty dress, 8 months old. 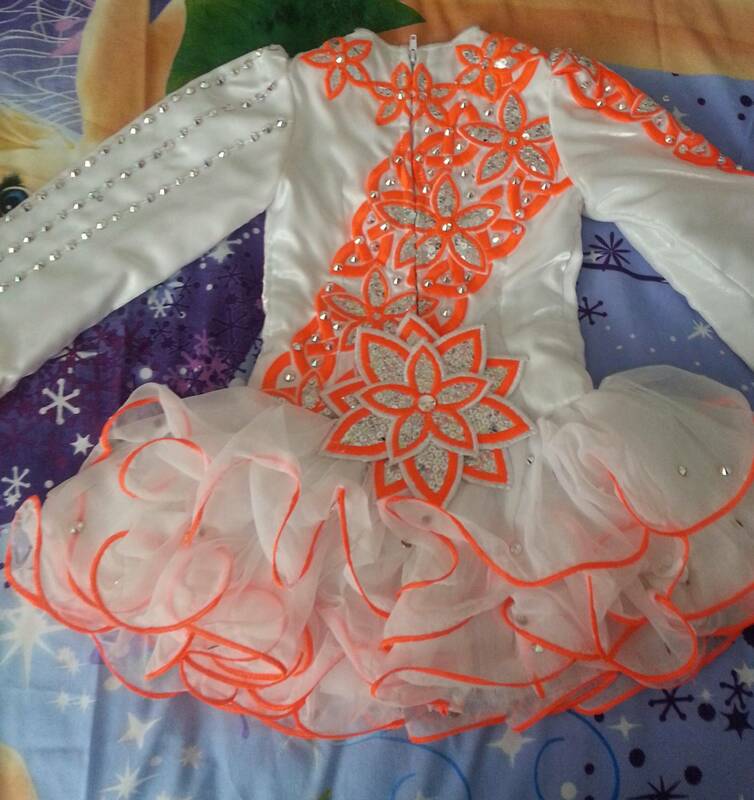 Would suit age 7-9 dancer. Dress in excellent condition; from a smoke free home. 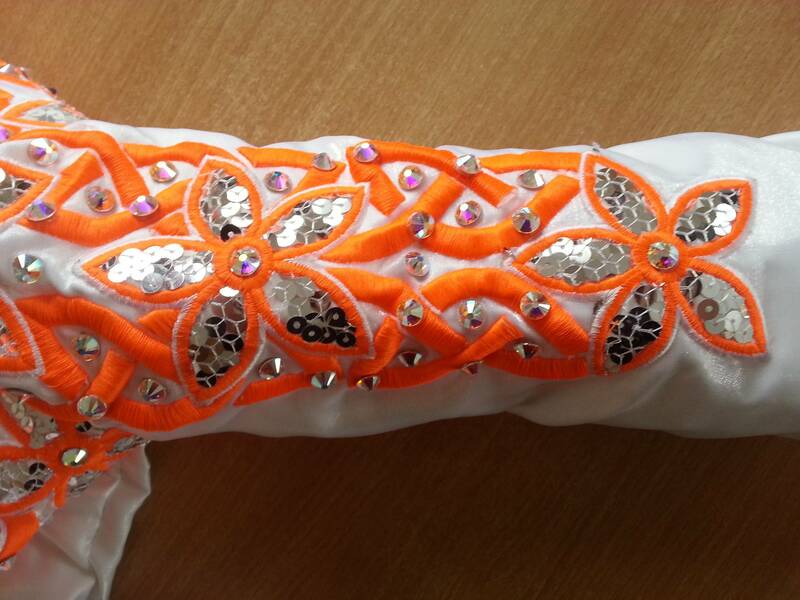 White twinkle satin with bright orange embroidered flower and celtic design. Flowers inset with silver sequins. Hundreds of crystals together with the silver sequins provide plenty of sparkle on stage. No crystals missing. This dress receives many compliments and is very eye catching. Comes with white kick pants and 2 orange flower hair clips. Buyer will not be disappointed. Room for let out approx. 1″ each side. Asking Price: £540. Shipping costs are not included in the asking price. Sale is final.